HETEL is an association of 21 Vocational Training Centres created by social initiative which are present in all regions in the Basque Country, Spain. It was set up in 1987 to promote and improve the Vocational Training provision. The objectives of the Association are the exchange of experience and know-how between VET centers, foster innovation in VET education, both from a technological and pedagogical point of view and contribute to fill the gap between VET education and the demands of the business world. The Vocational Training Centres of HETEL belong to the Network of Integrated Vocational Training Centres under the Basque Plan of Vocational Training. IK4-TEKNIKER (brand name) is a technological centre legally constituted in 1981 as a private not-for-profit Foundation that aims at the development and transfer of technology to improve the competitiveness of industry. It employs around 270 researchers and technicians. IK4-TEKNIKER belongs to IK4 Research Alliance (http://www.ik4.es/en) and it is proactive in European level associations and initiatives as European Factories of the Future Research Association (EFFRA), euRobotics AISBLand the European Innovation Partnership on Active and Healthy Ageing (EIPAHA) as well as reference organizations such as and European Safety, reliability and data management association (ESReDA) or Operations and Maintenance Information Open System Alliance (MIMOSA). Founded in 1958 by Mons. Gianolio, Apro Formazione has always had the goal of training young people for the world of work and the professional updating for workers, in response to the territory and the enterprises’ needs. Apro is a School, a Training and Orientation Agency and Work agency. We have two different locations, one in Alba, the historic one, and one in Canelli, opened in 2001. D&A College provides further and higher education to the population centres of Dundee and Arbroath and stretching into surrounding areas (Fife, Perthshire and Aberdeenshire). D&A operates over three main campuses, employs approximately 900 staff and serves some 16,000 learners. It offers education and training in many vocational areas from SCQF levels 2-10 (EQF levels 1-6). D&A College have been active in European projects under the Lifelong Learning Programme (Leonardo, Grundtvig, Comenius) and Interreg since 2007 and have just completed an Erasmus+ KA2 Project, VoCoL (www.vocoltriangles.eu). Since 2007 we have had eight successful mobility projects and are currently in receipt of a 2014-2015 Erasmus+ KA1 funding for a mobility project – ‘LEARN’ (Leading Learning Academy Reciprocal Network.) This project supported the development of 36 College staff through mobilities in Spain and Sweden. Sectoral Practical Training Centre Of Motor Vehicle Repair. International cooperation is one of the school underlying areas. The goal of cooperation is to provide an opportunity for teachers to improve qualification, participate in international projects, exchange experience with partners from abroad, enable students to have internship at foreign companies. The Centre cooperates with partners from Norway, Finland, Germany, Denmark, Spain, Nederland, United Kingdom, Latvia, Estonia, Italy and etc. The Centre seeks to train highly-qualified specialists who strive for self-improvement, are oriented to the changes in the labour market and the development strategy of Lithuania. ROC Zuid – Holland – Zuid / Da Vinci College offers vocational training programs in different sectors, Economics, Engineering and Technology, Information Technology, Health Care and Social Services. We offer both IVET as CVET programmes in many different courses. The age of the students at our college ranges from 16 – 22 years old in the IVET courses and in all different ages in the CVET courses. A wide variety of contract programmes is offered, as well as basic education for adults. Trying to respond to the needs of society & the labour market we think that international activities, like mobility for students and staff, will help to get prepared for / work at the international labour market and to be an understanding and contributing citizen. 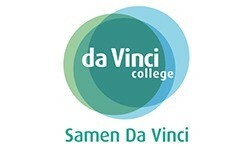 Da Vinci College has an educational concept that is work based orientated. We have been cooperating with companies and institutions all over Europe for a long period. In the past we cooperated in pilot projects concerning Learning Materials for students. Another one on ECVET with Finnish and Danish partners (not funded by Europe). And we just finished a project where we developed a method to support students to get a better idea about their competences. Students of Da Vinci College also are working in projects outside of Europe, we have a number of good projects where students from different courses can have a work placement and develop skills and competences. This year students go to America, Canada, China and Cameroon.